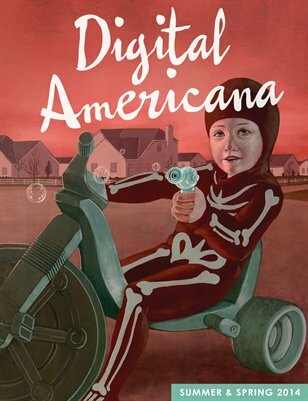 “In the fabric of Americana, the lore of the people shall be defined by the people.” This double-issue (dubbed LORE for short) features Pulizter-Prize winning Megan Marshall, and new stories, nonfiction, poetry, and art from our most prolific collection of contemporary Americana artists. Fiction by: Erin Lynn Cook, Thomas Mundt, Suzanne Burns, Robert Boucheron, C.M. Barnes, George Djuric, Gabriel Welsch, A.K. Small, Jared Silvia, & Cally Hyde. Poetry by: D. N. Simmers, Dan Sklar, Christopher Suda, Emily Troia, Asnia Asim, Andrea L. Hackbarth, Valerie Westmark, Charles F. Thielman, Sandra Kolankiewicz, & Kasey Perkins. Review(s) of: To Rise Again at a Decent Hour by Joshua Ferris; Mr. Mercedes by Stephen King; Wayfaring Stranger by James Lee Burke; Jack Strong by Walter Mosley; Robogenesis by Daniel H. Wilson.